Nature2 SPA automatically dissolves trace amounts of minerals such as silver and copper into your spa water, sanitizing the water, and destroying bacteria and viruses. This mineral sanitizer reduces the need for harsh chemicals, meaning your skin and eyes will feel much better, and you’ll spend less time and money maintaining your spa. Nature2 SPA provides cleaner, clearer, softer water, resulting in a more enjoyable spa experience. You can also expect improved performance of ozone-equipped systems. It’s suitable for spas up to 500 gallons. 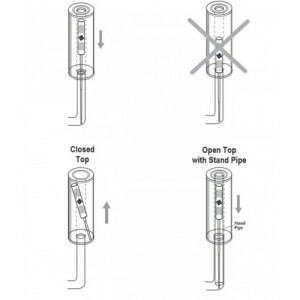 System Flush: SeaKlear Spa System Flush: Use Spa System Flush to remove debris & organisms from your spa’s plumbing system if it has been unused or unattended. Scum Bug: This s a floating foam sponge which collects contaminants that create scum lines, cloudy water, and clogged filters. For basic start-up, we suggest the Nature2 Spa Starter Kit. Drain your Spa if it has been unused or unattended. NOTE: When converting from a biguanide or bromide treated spa to a Nature2 system, the spa must be completely drained and refilled. Zodiac warranty does not cover cartridges used with biguanide products. Before starting up a new Nature2 Spa, clean debris and algae out of the spa and spa equipment. After draining your spa, it’s a good idea to clean the plumbing, using SeaKlear Spa System Flush or equivalent. You will need to remove your filter(s) before doing so. Replace your filter f necessary – at start-up is a good time to install a new filter; it’s a good idea to keep 2 filters on hand; 1 can be used as a back up. If your filter is a year or older, it’s recommended that you soak it in solution overnight, then air dry. For this we recommend Bio-Dex Filter Cleaner M2000. You can also soak filters in a solution of 3 parts water to 1 part muriatic acid. Prior to refilling the spa, it’s a good idea to thoroughly clean the spa shell and cover. Here’s a product that can help you in that endeavor: Natural Chemistry Clean & Perfect, 22 oz. Trigger Spray. NOTE: Avoid household cleaners, which cause foaming issues and throw off PH balance. To ensure you’re putting low contaminant, high quality water back into your spa, we suggest using the ecoOne Hose Pre Filter. Do not install the new Nature2 Spa until the spa water is clean and balanced. Superoxidize (shock) the spa water with Proteam Spa Di-Chlor. Add 1.5 tablespoons ( approximately ¾ ounce or 24 grams) of di-chlor to spa per 250 gallons. Initial superoxidation with di-chlor is required to burn off contaminants and activate the Nature2 cartridge. NOTE : Do not enter the spa if the free available chlorine residual is over 5 ppm. According to spa manufacturer recommendations; typically 4 hours minimum. What does the maintenance schedule look like? Run spa according to spa manufacturer recommendations; typically 4 hours minimum. Add 1 tbsp Proteam Spa Di-Chlor 2 lb. (or other shock oxidizer) to spa per 250 gallons. Drain and refill your spa. Replace Nature2 SPA stick and repeat sanitizer start-up. Use the month indicator decal to identify the date on which the cartridge should be replaced. Always turn spa off prior to installing or changing Nature2 Spa. Your spa is operated under pressure and the pressure must be released before maintenance. Please see your own spa owner’s manual for further instructions. A cartage lasts 4 months. The cartridge should not be used longer than 4 months. Test water with Nature² Spa Test Strips. If the MPS level is low, add 1 tbsp Cense per 250 gallons. Use the Nature2 SPA Test Strip to test the spa water after each addition of shock oxidizer. If the Test Strip indicated levels below the acceptable range, add tbsp of Cense per 250 gallons and re-test. Enter spa only after test strip indicates a sufficient level of MPS. Shock treat with 1.5 tbsp of Di-Chlor per 250 gallons to remedy problems that may occur when bathing loads are high, when successive Test Strip readings indicate high demand for MPS, when water appears hazy or dull, when unpleasant odors or eye irritation occurs, after heavy wind and rain, or if foam develops. Check the spa filter periodically and clean it per manufacturer’s recommendation. Is Nature² mineral sanitizer a filter? No. A filter is designed to remove particles and debris from the water. 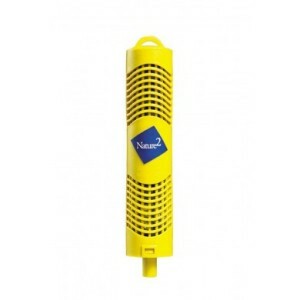 Nature2 keeps your pool sanitized by destroying bacteria too small for a filter to remove. You will still need to use a filter with the Nature2 system. Do I still need to use chlorine with Nature² Mineral Sanitizer? Yes, you always need a small amount of residual oxidizer to sanitize the water. Nature2 allows you to reduce the chlorine level to just 0.5 ppm. At this level you won’t feel, smell, or be affected by chlorine. How do I know if Nature² is working? You’ll notice a big difference in water quality. Water that feels and looks better shows Nature2 mineral sanitizer is working properly. Of course, regularly testing the water also confirms improved conditions. Which products should be avoided when using, or planning to use, Zodiac Nature 2 mineral sanitizer? Chlorine-free disinfectants of the PHMB type (or “biguanides”): Baquacil, Revacil, Oxyline. Products containing copper. Provides eco-friendly protection from harmful bacteria. Reduces skin and eye irritation. Combines with Nature2 Cense to create fragrant aroma, elimination unpleasant odors. Low Maintenance and low cost; lasts up to four months. Compatible with most suction-side and pressure-see spa filters. Shop all pool supplies and products at PoolZoom.com. We are social too! Like us on Facebook and follow us on Twitter for the latest news and promotional updates.